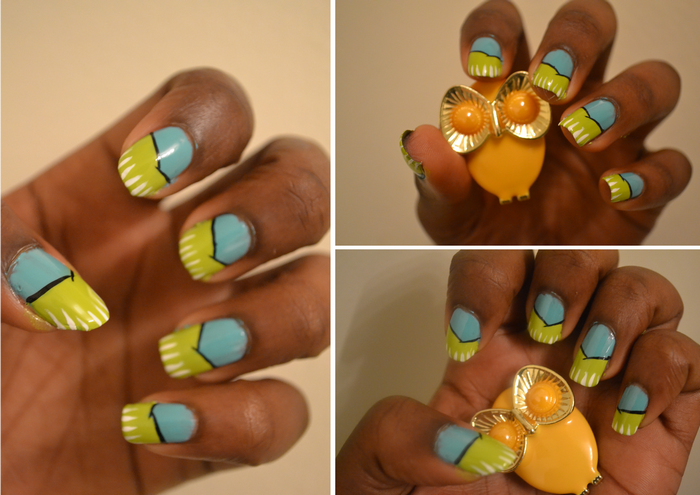 joli nail art Diane!!! j'aime les couleurs et les motifs!! 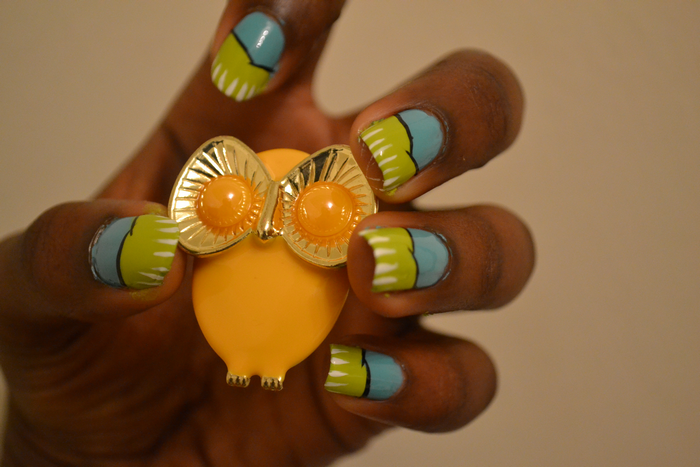 so cute nail art... i love the color combo! 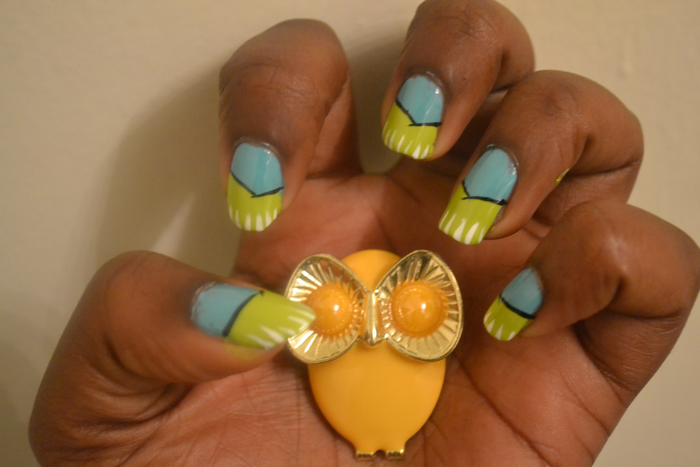 I love the color combo, it's so cute & so is the little owl you're holding! Hello, thanks for stopping by my blog. Your nail art is gorgeous. I've followed you.